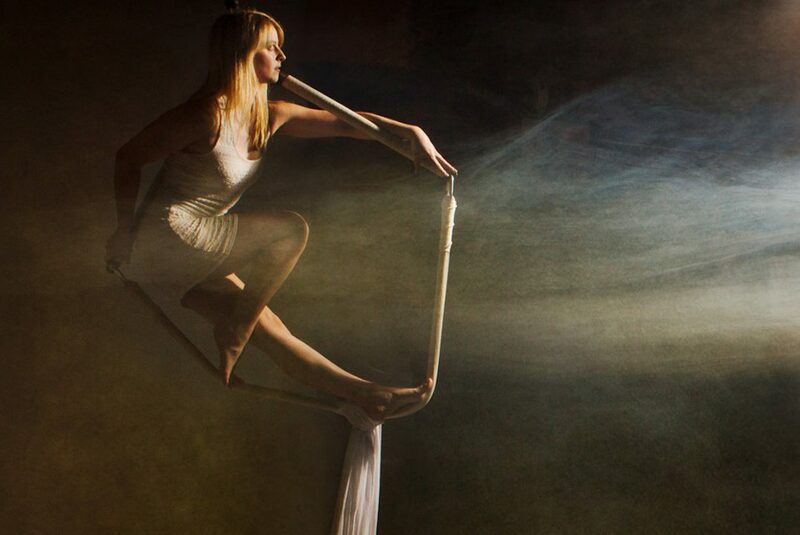 Nicole is an award-winning aerial specialist who can offer breathtaking aerial hoop, aerial silks, aerial crystal, dance trapeze, aerial kite, spinning web, corde lisse and a variety of duo acts. Nicole has performed worldwide at events for the Royal families of the UK, UAE, Malaysia and Belgium; at festivals (Goodwood, Glastonbury and Henley); high profile galas and launches (alongside Elton John, Prince and Katherine Jenkins) and various other special events. Her credits include the Princess Diana Memorial concert, Cirque Du Soleil, The Royal Variety Show and many more. Available for events, private parties, weddings, product launches and more, Nicole certainly knows how to add the wow factor. "Was that you upside down? You're amazing!" "The aerial show was fantastic and definitely added the wow factor to our event." "The client is absolutely delighted and the feedback from the guests has been overwhelmingly positive."